These days, there are a number of support networks available to anyone needing help after experiencing a traumatic event. What is accessible to those whose situation are beyond the norm, such as encounters with paranormal phenomenon? Where can one turn to for aid after an alien abduction, assaulted by a ghost or seeing a glimpse of the afterlife? Even tough few in number, there are groups and networks with services to help individuals with their encounters with the unknown. Information about these organizations can be found on the Internet for an example on blogs like Abnormal Realm. This week’s posting features the paranormal investigation team Haunt Investigators of Michigan. Haunt Investigators was founded on October 14, 2012 and is located in Dearborn Michigan. In exchanging emails with one of the founders Marc O., the paranormal group was formed in Salem Massachusetts where they also conducted investigations. The team is made of lifelong friends with a passion and interest of the unknown. Several members of Haunted Investigators had encounters with the paranormal and with their friends formed the group to seek out answers to those experiences along with finding the truth of what waits in afterlife. In this paranormal group, everyone shares in the responsibilities such as research, knowledge of equipment and collection of evidence. 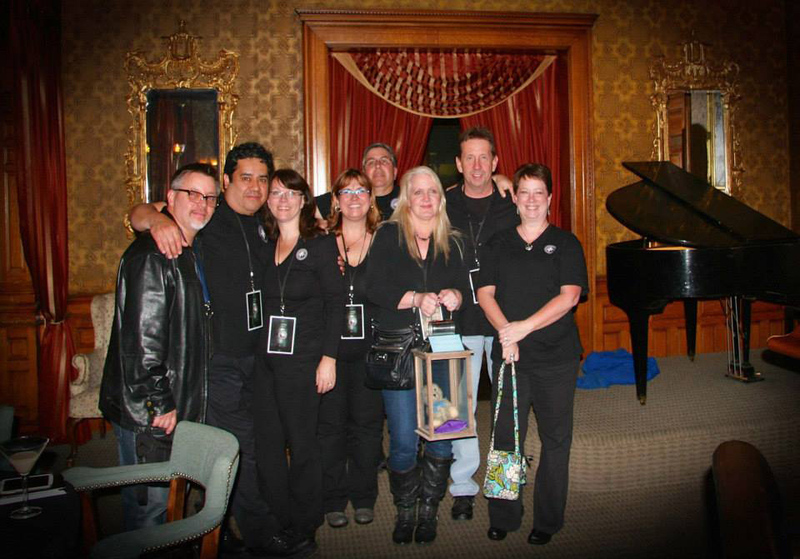 Haunt Investigator consists of eight members that are all lifelong friends. Marc O. and Mark W. are founders of the group, Yolanda O, Caty K., Ray K, Christ K. and Ed K. are investigators and Katalin R is P.R. And photography. Together they search for answers towards understanding the paranormal. 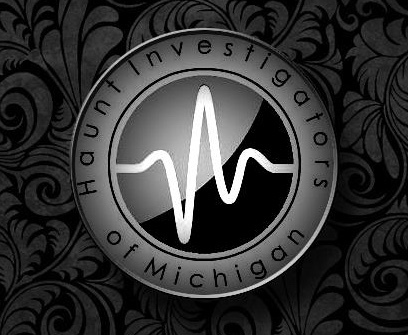 Haunt Investigators of Michigan goals as mentioned off their website “is to investigate and document and all paranormal activity, using visual and auditory recording devices while maintaining a professional attitude and manner and an open, but objective mind.” Their services are free of charge with no fees for any investigations conducted. Each case is treated with promise of professionalism and confidentiality. In most cases of contacting any paranormal group for assistance there are procedures followed prior to an investigation, With Haunt Investigators, the founders will arrange a meeting at a location of the contact’s choice, ie coffee shop. There the contact would be introduced to the team followed by a discussion of the situation to learn more such as history of the location and past/current occupants. Later on the investigation is planned out to decide who works with who, what techniques to use and what piece of equipment the member will be working with. One piece of important detail they shared was to make sure all batteries are new and/or charged. Haunt Investigators of Michigan website is http://hauntinvestigators.wix.com/hauntinvestigators or email mmrk38@gmail.com. The group also has a YouTube Channel if you wish to watch videos of their investigation with the link off their website. This entry was posted in Paranormal Groups and tagged Paranormal Groups US on February 12, 2016 by Gatekeeper. So I went out with this team for an investigation of The Whitney, actually I was the psychic medium who accompanied them and I even brought my friend who is also a psychic medium. After spending hours with this team and being promised to have a copy of the footage since my friend and I do not provide our services for free the footage was an acceptable fork of payment and my friend and I would be able to put the footage on our websites. Well much to my surprise the footage was not given to my friend and this group even denied they were intended on giving us each a copy! Watch out for this group they have serious professional issues! Also I wanted to make sure everyone knows it’s a hoax if you think you’re going to get footage you won’t so don’t waste your time. This is a response to HD, hiding behind Initials won’t work. You sought our team knowing that we are a “Non-Profit Paranormal Organization”. You asked to join “OUR” team, We did not approach you. You were an invited guest to an investigation, you chose to accept the invitation as a potential team member knowing full well that we DO NOT charge clients for our services therefore there would be no compensation in any form monetary or otherwise. The footage your referring to was never promised to anyone but was going to be given as a courtesy until you demanded any and all likeness of you could not be used by us, per your request that footage has been deleted. You chose to go around us and try to establish your own agenda at a clients place of business which we already have a working agreement with. We spoke to your “friend” and she made it clear to us that she did not agree with your actions. This is the reason we knew you were not going to be a good fit for our team. If anyone, has any concerns who and what this psychic medium “HD” is all about feel free to contact our group. ….sounds like sour apples. You say your a psychic medium? I guess you never saw that coming. Well said Haunt Investigators! East Coast paranormal investigator.